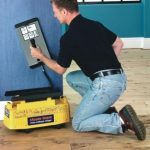 This easy to use machine is a fast and effective way to remove wallpaper. 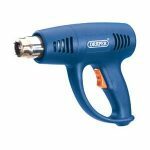 The universal tool for stripping paint and varnish, hot air forming and shrinking. This lightweight, portable spray extraction carpet cleaner is ideal for domestic carpets in households and small offices. This compact and easy to manoeuvre unit is simple to operate and cleans and restores pile on most fabric (test small area first). We also sell the carpet cleaning powder to use with the cleaner.